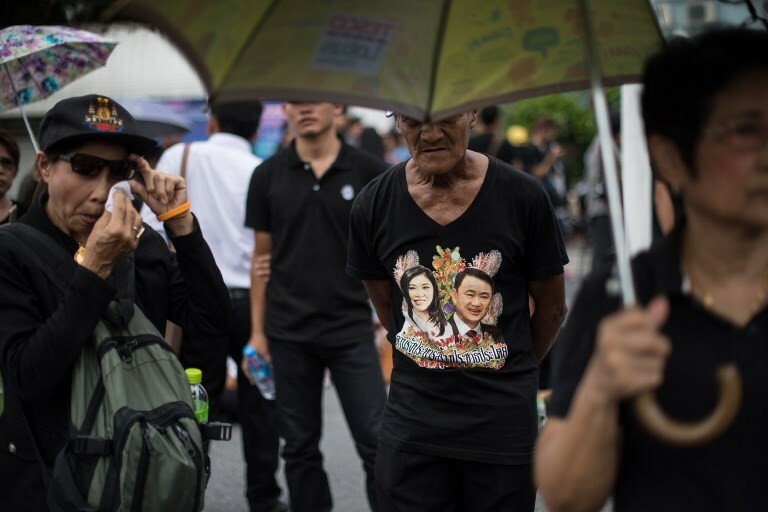 Thailand's junta has come under fire from conservative allies following ousted prime minister Yingluck Shinawatra's escape overseas, with many questioning how the military could have let her flee given she was heavily monitored. Yingluck, whose government was toppled by the military in 2014, pulled a dramatic disappearing act before a scheduled court judgment on Friday in a criminal negligence trial. She faced up to ten years in prison and a lifetime political ban if convicted. But instead she was a no show, with junta and party sources saying she had fled abroad. Analysts say Yingluck most likely cut a secret deal with the junta to exit the country -- a charge the military has denied. The leadership is desperate to avoid instability as it digs in for a long stay. The junta says it does not yet know how the country's first female prime minister managed to slip the net. But key conservative figures, some of whom agitated for the coup that toppled Yingluck and are seen as political allies of the junta, rounded on the military in a series of statements over the weekend. "It was clear that security officials followed her closely and took photographs of her everywhere she went, all the time. But she still was able to escape," Panthep Puapongpan, one of the leaders of 2014 protests against Yingluck's government, told reporters. "With Yingluck now escaped, the government, the security forces and the NCPO has to take responsibility," he added, using the official acronym for the junta. Veera Somkwankid, another prominent opponent of the Shinawatra political dynasty, took to Facebook to vent his frustration. "The government must hunt down the traitors and punish the persons (who might have helped her escape), otherwise the NCPO will end up being the defendant," he wrote. Yingluck frequently complained of being constantly followed by military intelligence since she was ousted from office. Thai media has been filled with speculation over how she might have escaped, with most suggesting she went to Cambodia either by land or sea in the days before the court verdict and then on to Singapore.